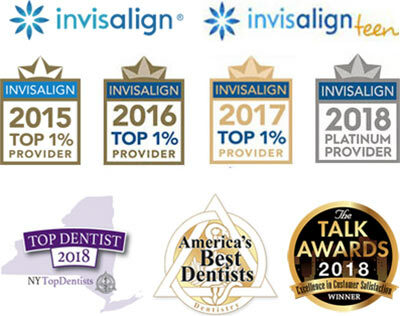 Our dentists in the Bronx are board certified, award winning dentistry experts and contributor to a prominent media outlets. Top rated Bronx dentists provide a full range of family dental and cosmetic procedures to treat conditions that affect your gum and facial bones. Our state of the art cosmetic dental clinic and pediatric dental center in the Bronx, NY equipped with the most advanced equipment available in USA including latest, top performance lasers & high precision microscopes. We use only the best quality medical grade titanium or titanium alloy for dental implants. They're very professional. The wait isn't long. Dr. Fedida & Destiny were extremely patient and did a great job making sure my bridge process was comfortable and an excellent one. Dr Ross always is there for me when needed and does a great job. Today I came in with a toothache and he was off. The other doctors examined me and performed a root canal, all in the same day, and I didnt have an appointment before I called this morning. Great team. Thanks again. Dr Fedida did an incredible job with my upper front tooth. He was able to match the shade perfectly and make it look natural. I highly recommend this office. The whole staff is very professional. Great dentists, Dr Lopez is the best give her a big raise . Dr Fedida did my extraction and build a bridge for me he was very gentle caring and efficient. The bridge he built fitted perfectly on the first fitting I am very happy to have him as my dentist. I came to replace 2 lower front crowns which did not match my natural shade. Dr Fedida did an amazing and professional job. I highly recommend this office!! Dr Fedida was amazing. He did a wonderful job with my fillings and bridge to replace 2 teeth. I highly recommend this office. I highly recommend 505 Dental Associates. I had an amazing experience with Dr Haim Fedida. He was very gentle and put me at ease throughout the procedure. The entire staff was so kind, helpful and very professional. I just received the best cleaning of my life! My hygenitist (Barbara) had excellent bedside manner and answered all of my questions about my dental care thoroughly. My teeth have never felt so clean! Can’t wait for my next cleaning. Very caring and welcoming staff . I have had a great experience whenever I come in for a visit. The doctor is gentle and kind and makes me feel at ease. The staff was courteous and attentive. DOCTOR ROSS IS THE BEST!!!! Awesome staff!!! While recovering from spinal surgery, I decided what a great time to see a dentist before I go back to work, because I knew I needed new dentures/partials. I googled "nearest dentist" and 505 Dental came up. Never been there before. First appointment was on a Sunday for extractions, which was great. After that each appointment was expeditious to make sure I would have my dentures quickly. Dr. Ross and the whole staff are great!! My daughters & grandson are now patients. I've switched my entire family to 505 Dental. Highly recommended. I used to come here as a kid and wanted to go there again because they WERE good. New management, horrible service! The entire appointment was rushed! Doctor didn’t introduce himself and came in the room and seen that needed to be done on the computer. He said I needed 3 fill ins and only did 2 because “he was backed up” and “likes to spend his time”. If I came in for an appointment to get work done, I shouldn’t have to come in AGAIN to get what needed to be done in the first place. I have been going to 505 since I was a young girl. They have great service and are very understanding. Dr. Frazier USA great dentist and I can say you will be happy with his service! My experience with 505 dental is always a pleasure for the past 30 us years Dr Ross & manager Lisa has made my experience a pleasure to visit very pleasant & professional,if it was not for them i would most likely take my business elsewhere, I will continue to support this location for a healthy smile. I wish the both of them a Merry Xmas & a happy new year. Lisa and Dr.Ross are awesome. They are fast, professional and efficient. I have been a patient at 505 for 15 plus years. The front desk workers are very courteous...I was there last week. Dr Ross did a cleaning and a filling and as always very professional and kind....I will be making an appointment for more work to be done in the new year. One thing I really like there is the cleanliness. I have been going to 505 Dental Associates for over 10 years.The staff and friendly and knowledgeable. Lisa and Dr.Ross has been at the location for an extremely long time.I am highly appreciative of the both of them.Dr. Ross is highly competent in his position.Dr.Ross makes you feel at ease.I walk in with anxiety and walk out confident with a new smile.He is straightforward and works fast and efficiently.Lisa works with patience who are not sure of their next steps to take for dental work. I don't get to see her often because she is upstairs working with the billing department.But when she is in the reception area, she works fast a d she is always professional even during stressful times.. I recommend this Dr.'s office as long as Dr.Ross remains at this location. I highly recommend this dental office. Dr Ross is the best dentist ever. I have been coming to see Dr Ross for more than 15 years ! Dr Ross has an excellent method as a dentist and he is very thorough in his approach. He is extremely familiar with all the latest in computer -based dental technology. Dr Ross is a painless and caring dentist .which is one of the things that make him so special. I would strongly recommend Dr Ross as a dentist and I am certain that you would find other patients who feels the same way. Mrs Lisa the office manager is very professional, caring, and very helpful, always available to help. Don't hesitate on visiting this dental office. Dr. Ross is an excellent dentist. I became his patient at about 18 years of age and now I’m in my 30s and I still don’t want any other dentist except for him. He is extremely patient and consistent with his clientele. Personally, I didn’t take care of my teeth in the past and he took on the task to repair them. He has performed three root canals for me, four crowns, and many fillings and I never complained of any pain when in his chair. He also communicates with me very well and he is funny. Thank you Dr. Ross for all the year’s you’ve been my dentist. He is the best, highly recommended!! DDS Farzin and DDS Yana are very wonderful individuals who cares very much on their patients outcome and one can see it in their eyes the excitement when the patients smiles at them. That is what I call teamwork. I would highly recommend them. Dr. Farzin was great my teeth look amazing! I’m very happy with the results from Invisalign treatment. Dr. Farzin and the girls are EXCELLENT! They are extremely professional. I had a 11:30 appointment and was seen on time. Dr Farzin took care of my problem and I was satisfied with my outcome. I highly recommended 505 Dental! The staff and the dentist was very nice and sufficient. Was in extreme pain. The Dentist yelled at me made me cry and charged me for something my insurance covers. I will be looking for another dentist. Everyone at the office is very nice and professional from the doctors to the Secretaries. The doctors are very good in what they are trained to do they so gentle as well, i love going to my appointments. I give them a five-star. I had an amazing visit with the dentist and Staff of 505 Dentist. They made sure I was comfortable with doing my teeth. I would definitely recommend others to get their teeth check at 505 Dentist. If I can give this practice 10 stars I would! After relocating from the Bronx, I continued my treatment with Dr. Farzin. Yes, I travel 2 hours going and coming (more with traffic), but it's worth it. Dr. Farzin combines excellent dental skills with a compassion for his patients. The entire office staff and assistants reflect the same attentiveness. Dr. Farzin meticulously and with a great level of expertise drew out an action plan for my transformation and when I say transformation, I mean TRANSFORMATION. I can go on and on but to sum it all up 3 words to describe Dr. Farzin are caring, detail oriented, and my hero! He saved my smile and gave me the ability to smile again. I have been a patient at this Office since I was 6 years old. I am now 25 and still attending. It is true that Dr. Gold used to run this office but, ever since Dr. Ebbie came on the scene he makes going to the Dentist so much easier. The fact that he remembers me every time I visit is Wonderful. He truly is your friendly neighborhood dentist and I wouldn't go to anyone else. Don't listen to those who talk bad, you'll notice those were all Dr. Gold's patients, and they're all old! Get with the times people, and get with DR. EBBIE!!!!!! DO NOT LISTEN TO THE FIVE STAR REVIEWS!!!!!! This review will be very lengthy, but I PROMISE you it is worth reading so you know what you are signing up for. I have given this dental office so many chances. My cleanings are done perfectly. But the cons outweight the pros by SO much. Firstly, if you have a scheduled appointment and arrive 30 mins earlier in hopes of being seen on time, make sure you bring a camping bag- you will be there alllllllllllllllllllllllllllll day. I wait 2-3 hours every time I visit. Secondly, because I’m a dental assistant myself, I know enough to ask for second and third opinions upon receiving advice from the dentists at 505. For that reason, I avoided getting a root canal, which the dentists at 505 told me I needed. Be careful with writing honest reviews on here it seems to be getting deleted each time hmmmm. First and foremost I want to say Dr.Gold was the best and after his depature this place has fallen apart and yes this place has been sold for over two years now and he is not returning just so everyone knows sadly and these are new people, my appointment started at 12 pm but the wait in the dental chair was ridiculous. The xray technician sat me down at 12:30 didnt see Dr.Derell until 1:00pm when he got in the room while i was in the dental chair, he dared to have the nerve to question me and say you sure it was 30 mins like really Sir its 1:00pm now I could have fell asleep in this seat and no one would have noticed me in here until I finally got fed up and told the technician to get you.And she even stated she didnt know what was up with you that day and couldnt state a clear answer to where you were and you have done this before she stated to another technician .Now the dental cleaning was not up to par he took a quick look in my mouth said your fine just brushed my teeth and used water with Listerine to rinse.Nor did he use utensils to take out the plac or check for cavities with it and not even the water pic like Dr.Gold use to do in the full check up when he was there.He didnt do any of that he only relied on the xrays which was crazy.Stay away from this place pls it has gone downhill after Dr.Gold sold the place. Very happy so far. They are patient and soothing for us with anxiety. The wait is crazy I went in for a 4:50pm appointment on Sunday and didn't get seen until 7:30pm. And it's always like that. Great experience! Dr. Ebbie really provided me excellent and professional services. The staff was friendly and accommodating! I highly recommend this dentist office!!!. I was a mess...i had many bad experiences with other dentist offices until one day my husband came for his dentist appointment. He was very satisfied with his visit and recommended that i come in. I thought here i go again...but then I came in and i first met with Dr. Ebby Boutehsaz and he check me and said don't worry we are going to help you. Ebby was then so caring and very professional that he made me feel good to say..i have hope...something that other dentist didnt do...it was horrible everytime i left their office...then i met with Dr. Farzin..omg ! !...he too is greattttt....he is the one who does the work...amazing! !!! doctors..again i highly recommend this dentist office you won't regret it...i can smile again...everyone in my office also tells me how great of a job they did and that i look greattttttt....im happy i finally found s great dentist office. I had a great experience here. They were very helpful and efficient during my last visit. Dentist answered all my questions and seemed very knowledgeable. Definitely would recommend this office. Dr. Ebbie helped fix my mouth and the staff was nice and friendly. I highly suggest this practice. Moreover, the dentist who treated me, Dr. Boutehsaz treated me with the utmost professionalism and had a very soft gentle touch that made one of my biggest fears, going to the dentist, a very painless and smooth experience. Would highly recommend it to friends and family. My dentist works really great !!! They do their job very well . Just finished my invisalign treatment with Dr. Farzin! What an incredible transformation, I am super grateful for this excellent service. The Dr. added a free whitening with my treatment. Highly recommended. I had a great experience here, they were very helpful to my needs and I left happy!! Dr. Ebbie Boutehsaz is an excellent doctor. He tends to me with care and patience. He has made me feel very confident and comfortable with my smile. I am also very pleased with his assistant Maggie as well as the receptionist sharon. overall this is an excellent office with excellent staff and I will recommend others as well. Sincerely, Yvette R.
Dr. Ebbie is amazing, he was patient, understanding and extremely professional. He made sure I was comfortable throughout the appointment and I couldn't be any happier with his work. Thank you Dr. Ebbie!!! Had my cleaning and fillings done by Dr Ebbie here about a month ago! He was great! The entire staff and office was amazing! Highly recommend them! He's very professional and take time to explain things to patients. Do you have any questions for the best rated family and cosmetic dentists in the Bronx? For more information or to schedule an appointment with the Bronx dentists of 505 DentalAssociatess, please contact our Bronx dental center for consultation with the dental specialist.